The singer will hit the stage at 8 p.m. Provided by Cara Robbins Indie-rock star Jay Som reached critical acclaim after releasing “Everybody Works” in 2017. On Saturday, April 21, the musician will headline WHRW’s Moefest. 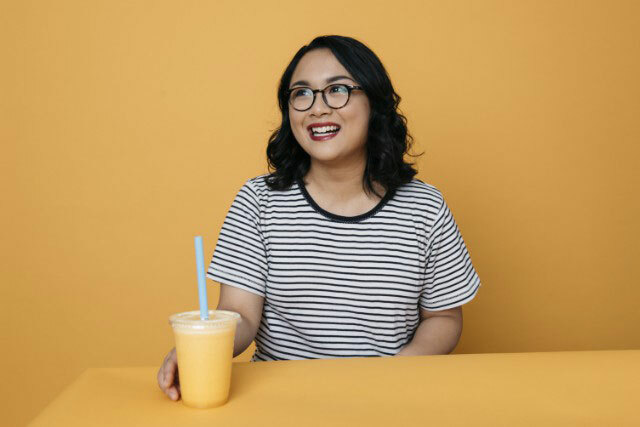 Indie rock is being taken over by women of color, and this year WHRW 90.5 FM has secured Jay Som, the stage name of Melina Duterte, a major player in the movement, for Moefest. Prepare for her headlining set with our playlist of her music and tunes from similar artists. The title song from Jay Som’s proper debut, this song is a perfect introduction to the artist’s repertoire. The second-to-last track on the album, “Everybody Works” serves as a thesis for the collection: Duterte reckons with the fact that everyone is putting in effort, but some people present it in different ways. The album was widely praised but recorded in her bedroom. While the album as a whole explores topics like mental health and romantic aspirations, the title song directly addresses her anxieties about finding a way to pay for her life with her art — but also resolves to commit to that goal. Did you know that Duterte and Michelle Zauner of Japanese Breakfast are best friends? You do now. The two bands are similar in style, and have pursued two tours together. “Everybody Wants to Love You,” an upbeat, joyous assertion of adoration, is one of Duterte’s favorite love songs, according to a collaborative Valentine’s Day playlist with Zauner, published by NPR, and is a great pump-up song for spending the day at Moefest. In 2016, Mitski brought Japanese Breakfast and Jay Som on tour across the United States, so if you listen to this playlist in order, you can emulate the tour’s lineup. “Jobless Monday,” while arguably one of Mitski’s more underrated songs, was written shortly after the musician graduated from SUNY Purchase, and it reiterates many students’ end-of-college anxieties about employment. While Duterte can do it all in terms of playing each instrument on “Everybody Works” herself, Rina Sawayama is massively accomplished in a different way. After studying chemistry at the University of Cambridge and spending time modeling, she made a play for pop music in 2013. “Where U Are” is one of her earlier songs and debuted before her full-length, eponymous album in 2017, and it embodies the same trancelike musical qualities that Duterte produces. Soccer Mommy is new to the indie-rock scene that Jay Som has established herself in, and released her first full-length album, “Clean,” last month. “Last Girl” follows the theme of the other artists on this playlist, singing about feeling insecure about a seemingly perfect ex, but making it upbeat and danceworthy.